Design with confidence. All these people have. 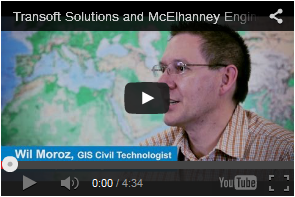 Transportation engineers and designers from all over have used productivity-driving software from Transoft Solutions to helped them do their jobs on time and within budget. Products like AutoTURN, the leading vehicle turn simulation and swept path analysis software, allow engineers to complete their projects with safety and efficiency in mind. Check out some of the people who shared their experiences on how our software helps them design with confidence. See how Katherine Ellard of the MMM Group in Thornhill, Ontario, Canada, has used AutoTURN and GuidSIGN for everything from geometric road designs to bus loop layouts. A remote logging road project required Civil Technologist, Wil Moroz of McElhanney Engineering, unique engineering skills and AutoTURN’s advanced vehicle swept path features. City of Vancouver's Jerry Dobrovolny discusses how planners used AutoTURN to prioritize space for all the competing transportation needs helping save taxpayers' money. 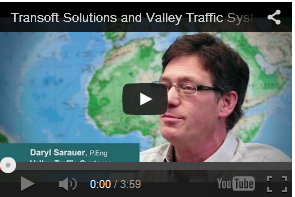 Watch as Daryl Sarauer of Valley Traffic Systems explains how traffic signs evolved to reflect new safety standards and how he uses GuidSIGN to keep motorists informed about the road ahead. Hamed Azim of Planmac explains how, during a dam construction project, he designed a road with AutoTURN to make it much safer for vehicles to navigate. 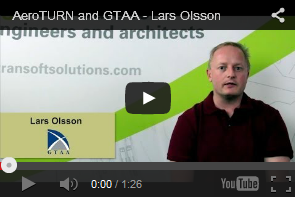 When the Greater Toronto Airport Authority was planning for the 787 Dreamliner, Lars Olsson used AeroTURN to study gates at Terminal 3 to determine if the new aircraft could safely fit. 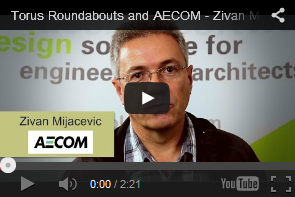 AECOM's Zivan Mijacevic used TORUS to verify roundabout measurements to within 5 centimeters of his colleague's design parameters. “For me, this is proof the software works well,” said Mijacevic. Sign up today and get your a free demo of our transportation engineering CAD software. Get all the details behind our clients' design projects and learn how we helped. Our representatives are standing by ready to answer your questions about our software. © 2015 Transoft Solutions Inc. All Rights Reserved.